Feel the heat of the furnaces as you sit close enough to ask questions and chat with our artists. 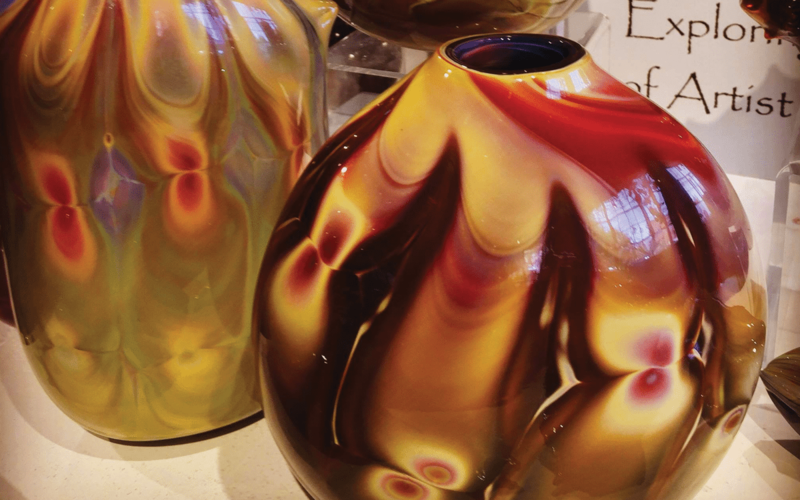 We have three glassblowers that rotate in our studios and demonstrate LIVE for you, everyday. You can even buy the piece you watched them create! Glassblowing demonstrations last until 4pm daily. Please call ahead to schedule groups of 10 or more.